Dawn has a background in psychology and osteopathy. She practised osteopathy for many years in the private sector and the NHS. In 2002 she undertook a PhD exploring aspects of chronic pain. Since completing her PhD she has remained working in research conducting both quantitative and qualitative research. Her interests centre around the management, treatment and care of those with musculoskeletal pain. She manages a variety of research projects and a list of her publications is provided below. Carol was awarded a PGCert in Evidence based in Health Care in 2006 from University of Oxford and completed an MSc in Health Care Research Methods at Barts and The London, Queen Mary’s School of Medicine and Dentistry in 2005. Her final dissertation investigated patient satisfaction with osteopathy in private practice. She was appointed Research Officer for the National Council for Osteopathic Research in 2004. 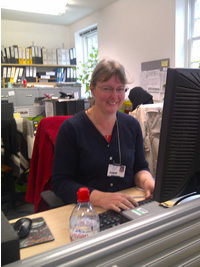 Carol’s professional responsibilities involve running a network of research groups in the United Kingdom. These small groups undertake a variety of small projects and have investigated a variety of topics including contraindications to osteopathic treatment, referral patterns by osteopaths, minimum requirements in record keeping by osteopaths, consent in osteopathic practice, the osteopathic management of patients during pregnancy and changing demographics in patients with cervical and lumbar spine symptoms during the past 20 years. 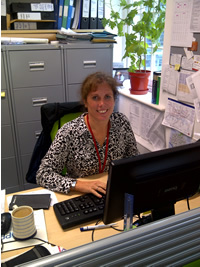 Carol has acted as project officer for the development of a standardised data collection tool for osteopathy and was responsible for the administration of a series of studies investigating adverse events in osteopathy.